Stir-fried spinach with salty scallion sauce is a tasty dish. The sauce mixture includes sesame oil, finely chopped scallions and ginger and salt. This also goes well with poached chicken breast. 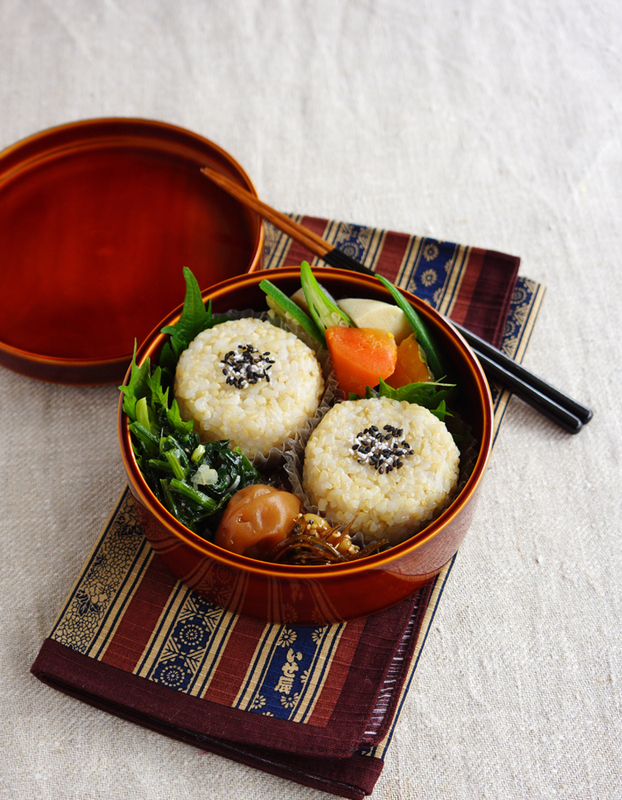 Though I put simmered all the veggies into the bento box, I cooked each vegetables separately. 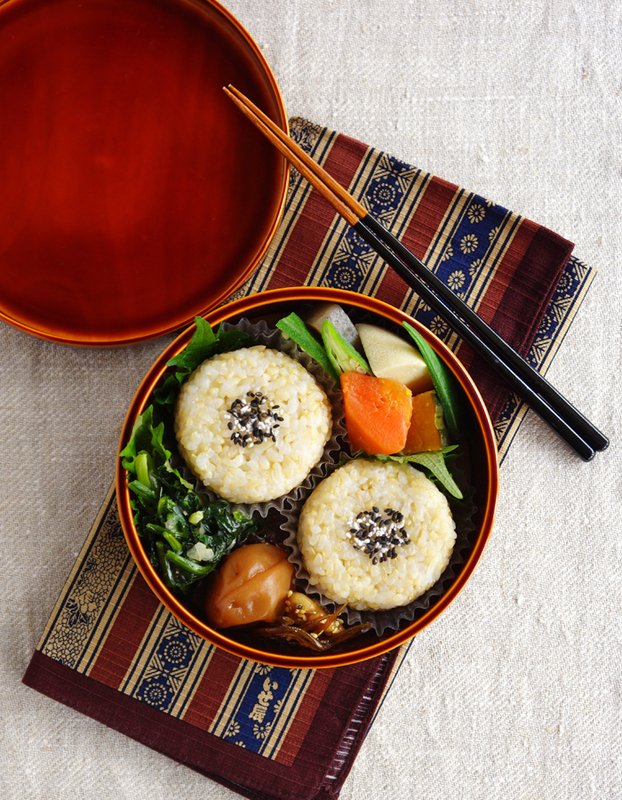 Carrot and konnyaku: simmered with dashi and soy sauce, okra: blanched with salt, koya-tofu: simmered with dashi, white soy sauce and sugar, squash: simmered with soy sauce, sake and mirin.